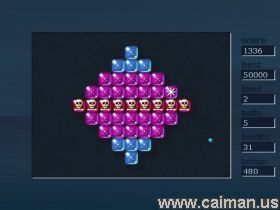 Caiman free games: Crillion Z by David Baroti. 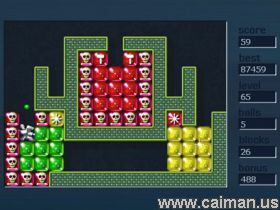 Crillion is a kind of breakout whereby you control a colored ball. The ball can only destroy the bricks of the same color as the ball has. To swich the color of your ball, just touch a colorswitch tile. Do not touch the skulls!